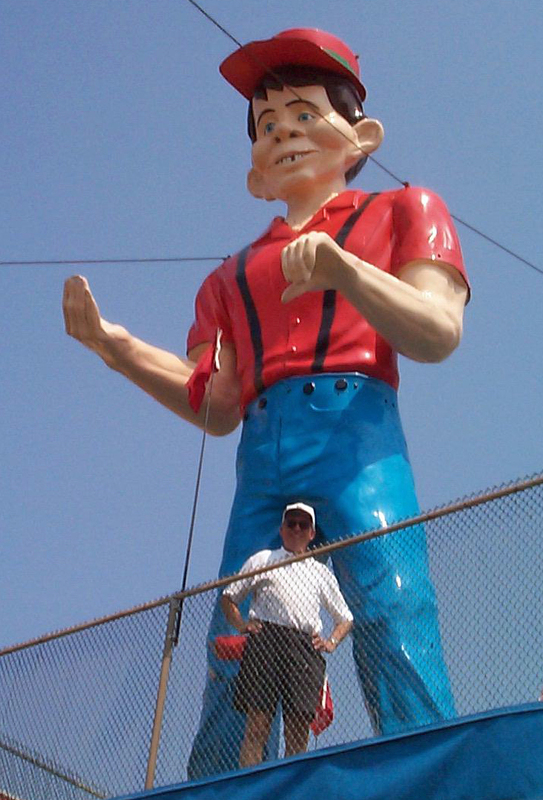 Muffler Men – Page 2 – The Home of My "Big Things"
Still in Seaside Heights (a veritable gold mine of Big Pictures) at the Wacky Golf minature course, search located upstairs on the boardwalk, buy is another Muffler Man with the head of Alfred E. Newman. This makes 4 that I have photos with. 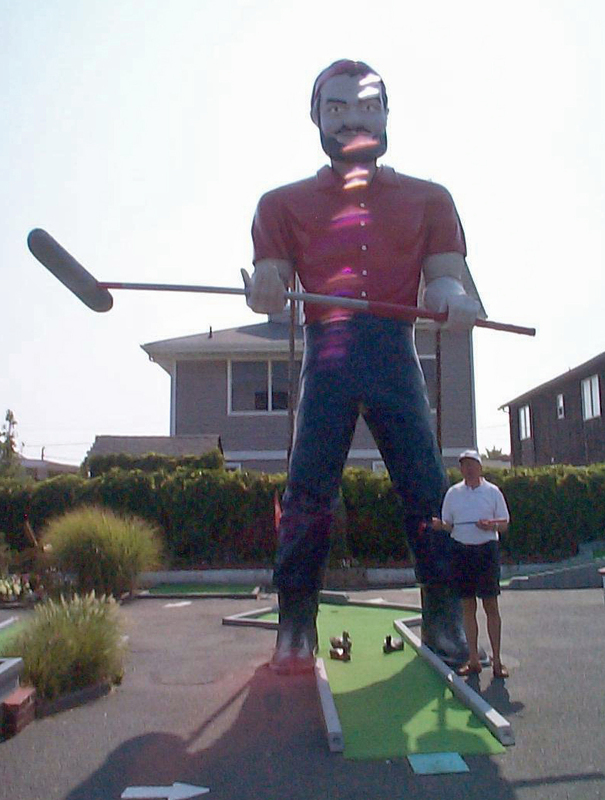 A very nice young man allowed us onto the course without paying the greens fees to get this image of another Muffler Man. Unlike the Johnny Appleseed above, I knew this guy was in San Jose. 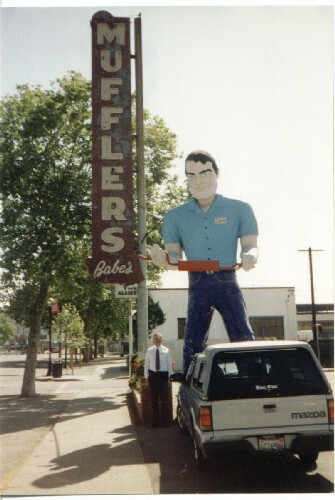 So, when I had some business (ha, ha) there I went hunting for this muffler shop. This is a true Muffler Man. Check out the muffler. 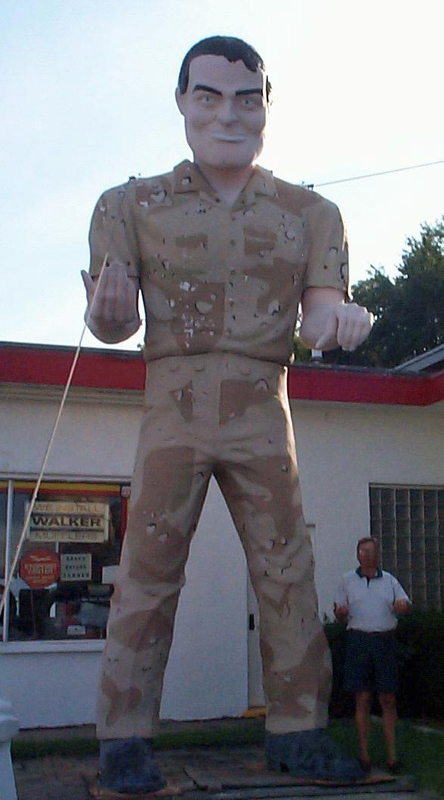 Found this “Desert Storm” Big Man courtesy of Roadside America. Pass by Havre de Grace in Maryland quite often but never got off I-95 long enough to get this picture. 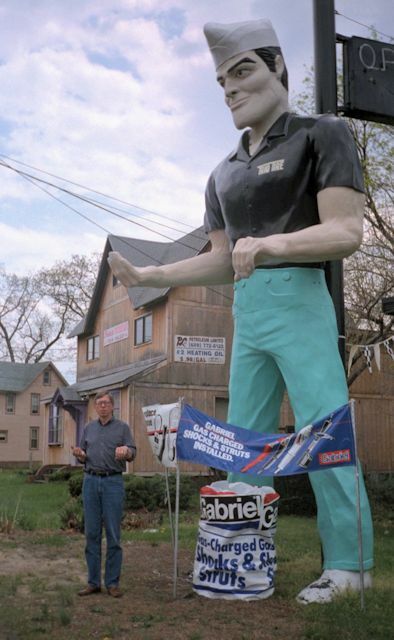 This is the Trio Tire Man on US-30 in Berlin, NJ. I have several of these guys. 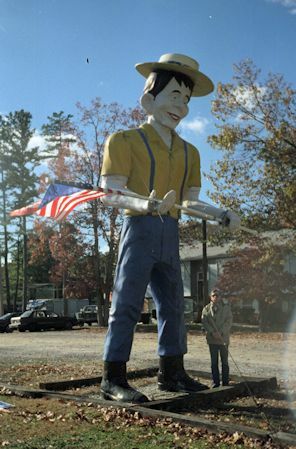 There is almost a cult being developed by the guys that write “Roadside America.” They call them Muffler Men. If you have a sense of humor and enjoy the offbeat things people do, check out these guys. Check out this face. Mad Magazine and 30 feet tall! These big guys come with the same body but a variety of heads and garb. I wonder if the salesman has one of those books with celluloid overlays to compare different looks? Chicagoland this time, just South of O’Hara Airport. At work (ha, ha!) again. 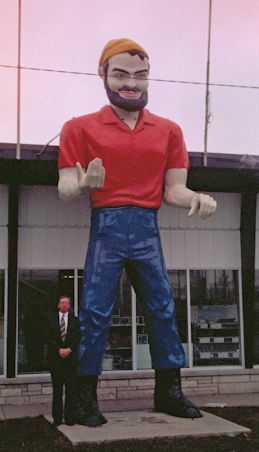 I guess the lumberjack is appropriate since he was outside a lumberyard. 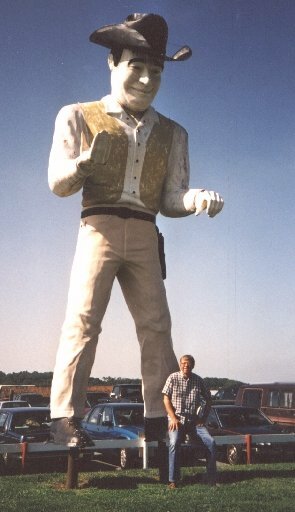 This guy looks similar but stands outside the Cowtown Rodeo in South Jersey. Lots of these Big Guys around. Went hunting for this guy up in Seattle area. Another case of knowing he was out there. However, the location was not quite as described by my source. Close enough that I was able to find him. Couldn’t get any closer than this. 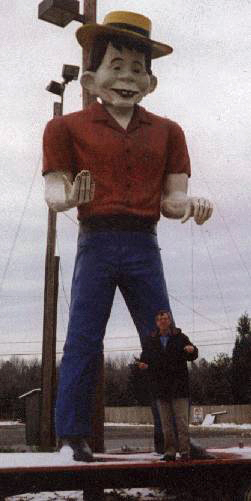 Caught this Big Guy outside Ralph’s Muffler Shop in Indianapolis on 16th Street a couple of miles East of the track. He’s Mister Bendo and I understand he’s been there a while and is a local icon. Thanks Mike for climbing over the cars.